Yes, there will be SciCast Awards in 2011. There will be a competition. There will be glamorous judges. There will be trophies. We’d like to be absolutely honest with you and admit right now that — whisper it — there might not be an awards ceremony. It’s obviously the most expensive part of the whole project, and we’re still looking for the remaining bit of funding to see us through. There’ll be more about this on the SciCast Blog, but for now: it’s absolutely our intention to hold a ceremony, we just can’t quite commit to one yet. Obviously it’s not quite the same if you don’t get the red carpet, your film on the big screen, the roar of an adoring audience, the palm trees (yes, palm trees — they’re a SciCast tradition). Chances are it will happen, but we want to be open with you. The trophies will be just as beautiful as before, and we expect the competition for them to be even more intense than ever. 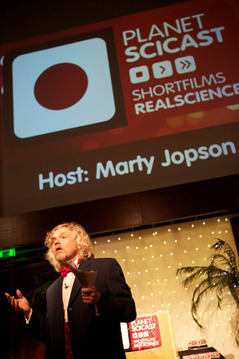 To be eligible for the 2011 Awards, your film should be submitted before Wednesday 27th April 2011. Given the odd way April is shaping up, what with royal weddings, Easter, holidays, and who knows what else going on, we’ll do our best to accommodate late entries, within reason: see notes here. Nominations will be announced about six weeks later, with winners announced after that. We automatically enter your film in all the categories for which it’s eligible, and you may have noticed in previous years that we tend to invent categories in order to be able to nominate brilliant films that don’t quite fit anywhere else. There, we said it. You can count on Physics, Chemistry, Biology, Earth Sciences and Engineering categories. You can count on overall categories (very likely broken down by age group). And you can also expect a few extra or unexpected categories, which might recognise animations, or music, or performance, or technical excellence. The upshot is: make the best film you can. We’ll do everything we can to recognise and celebrate the best ones. Deal? Rules — including special notes for SciCast Physics. Eligibility — who can take part? Prizes — what do you win? Want to send us a film, but not enter it into the competition? Sure thing! See here for notes. Read all the above? Made your film? We’ll be revamping our submission system in the coming months, but if you’re bursting to show us your work early we won’t stop you; the link above will work just fine. Still have questions? 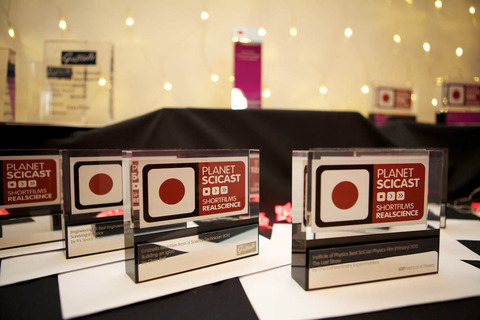 Get in touch with us via theteam@planet-scicast.org.uk. We’re real people, and we’ll give you a hand.